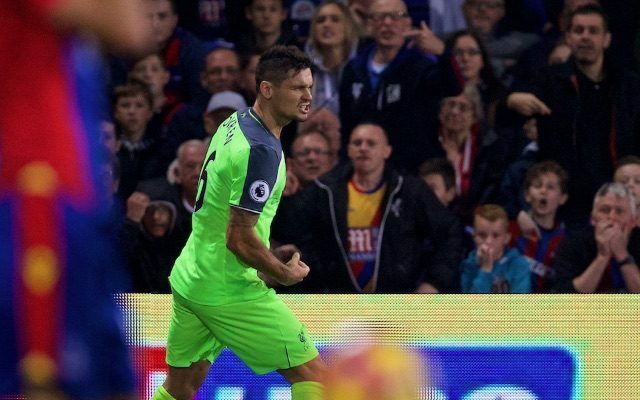 Liverpool centre-back Dejan Lovren has lauded his playmaker teammate Coutinho, Man of the Match last time out against Crystal Palace. We won 4-2 at Selhurst Park, despite the Croatian’s errors, but going forward we were scintillating at times, mainly because of Coutinho’s brilliance. Our no.10 didn’t score, but registered two assists from corners and would have bagged if it wasn’t for Steve Mandanda’s excellence. “In my opinion he’s the best player in the league at the moment,” Lovren told the Echo. “I have the pleasure and the honour to play with this guy. He is playing for Brazil as well. “He wasn’t just outstanding against Palace, he’s been like that all year. His crosses were perfect. We scored from his set-pieces. “He is a main part of the team, but it’s not an individual thing that wins us points, it’s the team work. We certainly wouldn’t swap anyone for Coutinho right now – not even Manchester City stars Sergio Aguero and Kevin De Bruyne, or Arsenal’s Mesut Ozil and Alexis Sanchez. What fans demanded of the Brazilian was consistency, and that’s what we’re getting now. The attacker is providing goals and assists plenty this campaign, something he’s not always done. In all competitions, Coutinho has five goals and four assists and we’re convinced he’ll reach double figures in both those categories. At 24, he’s entering the peak years of his career, and we’re just absolutely delighted he’l be doing it in red.